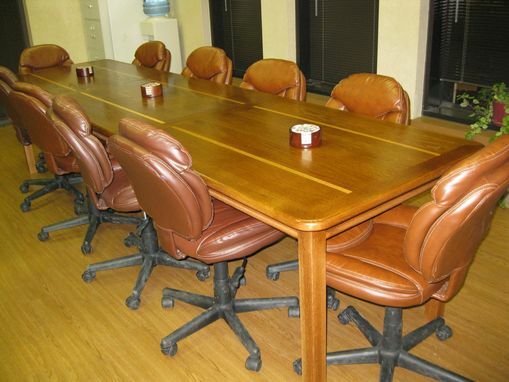 The Conference table was constructed of solid Red Oak. The table is finished with Golden Oak stain and several coats of Lacquer. 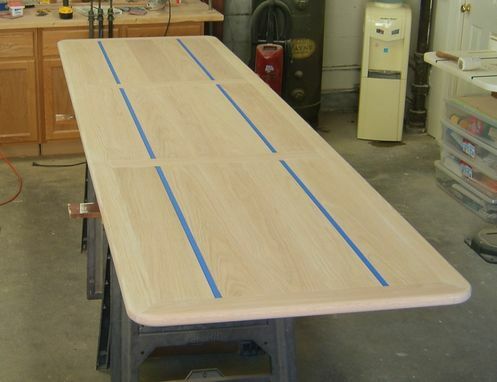 Two strips of unstained Red Oak were inlaid as accent. The table is designed with four corner legs and two intermediate legs to provide ample leg room. Dimensions: The table is 36 Inches Wide, 11 Feet long and 30 Inches high.